Dr Rebecca Monson is a socio-legal and feminist scholar with a particular interest in the southwest Pacific. Her work explores themes of colonialism, regulatory pluralism, transformations in systems of governance, and social inequality. She has conducted fieldwork in Fiji, Vanuatu and Solomon Islands, and regularly works with government agencies, donors, and non-government organisations. 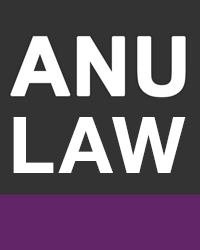 Prior to joining the ANU, Rebecca worked as a legal practitioner specialising in disaster and emergency law. She has also worked at the Centre on Housing Rights and Evictions, the RMIT Centre for Risk and Community Safety, and the Van Vollenhoven Institute at Leiden University. Rebecca undertook her undergraduate studies at Monash University, where she graduated with first class honours and the Supreme Court Prize for Best Honours Thesis. She received her PhD from the ANU in 2012, for a thesis examining transformations in gendered land relations associated with colonisation, missionisation and the commodification of natural resources in Solomon Islands. Rebecca currenty convenes the Law, Governance and Development program in the ANU College of Law and is a member of the board of the Pacific Institute. Monson, R 2014, 'Unsettled Explorations of Law's Archives: The Allure and Anxiety of Solomon Islands' Court Records', The Australian Feminist Law Journal, vol. 10, no. 1, pp. 35-50. Monson, R 2011, 'Negotiating Land Tenure: Women, Men and the Transformation of Land Tenure in Solomon Islands', in Janine Ubink (ed. ), Customary Justice: Perspectives on Legal Empowerment, International Development Law Organization in conjuction with Van Vollenhoven Institute, University of Leiden, Rome, pp. 169-185. In May, ANU College of Law Professor Daniel Fitzpatrick was an invited expert at the Nansen Initiative Pacific Consultation on Cross-Border Displacement from Natural Disasters and Climate Change. Congratulations to Christine Beuermann, Joanne Lee, Rebecca Monson and James Stellios who have received their Doctor of Philosophy degrees at the ANU graduation ceremony on Thursday 13 December 2012. Dr Rebecca Monson is a socio-legal and feminist scholar with a particular interest in the southwest Pacific. Her work draws on law, geography and anthropology to explore themes of colonialism, transformations in customary governance, and social inequality. Her publications have investigated questions around property rights, natural resource governance, disaster management, and access to justice. Rebecca regularly undertakes consultancies relating to gender, development and justice for government agencies, donors, and non-government organisations. She co-authored Justice Delivered Locally (2012), a major report for the World Bank that outlines the findings from extensive research into the management of disputes across Solomon Islands. In 2014, she was invited to present at the UNDP Regional Consultation on Women’s Access to Land and Property, which provided the basis for UNDP’s work on these issues in the Asia-Pacific. She uses participatory research methods whenever possible and appropriate, and is committed to ensuring that her work is accessible to the communities she works with. At present Rebecca is collaborating with Daniel Fitzpatrick on an ARC-funded project exploring climate change and displacement in Solomon Islands. She is also producing a book on the impact of colonisation, Christianity and the cash economy on customary land tenure in Solomon Islands. Completing a book manuscript on gender relations and land relations in Solomon Islands, in particular the ways in which local contests over the 'ownership' of land are entwined with state formation. Collaborating with Solomon Islander researchers to produce an edited volume publishing the results of preliminary research examining the capacity of customary tenure systems to respond to climate-induced displacement. I regulary undertake consultancies with organisations and institutions including the World Bank, RAMSI, AusAID, and the International Women's Development Agency.